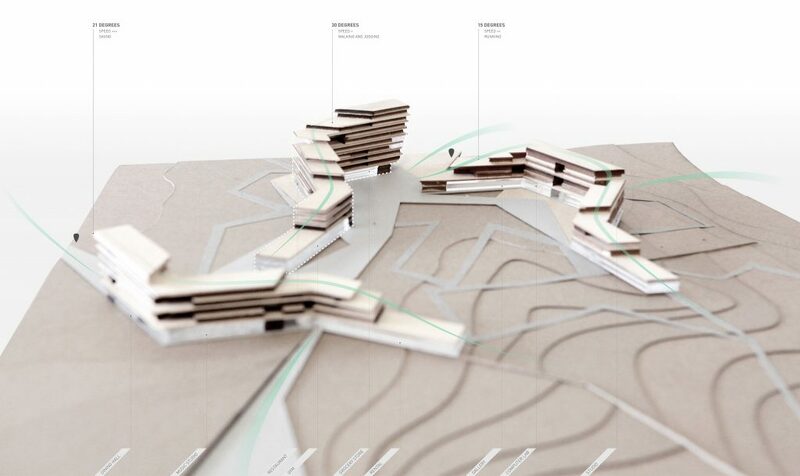 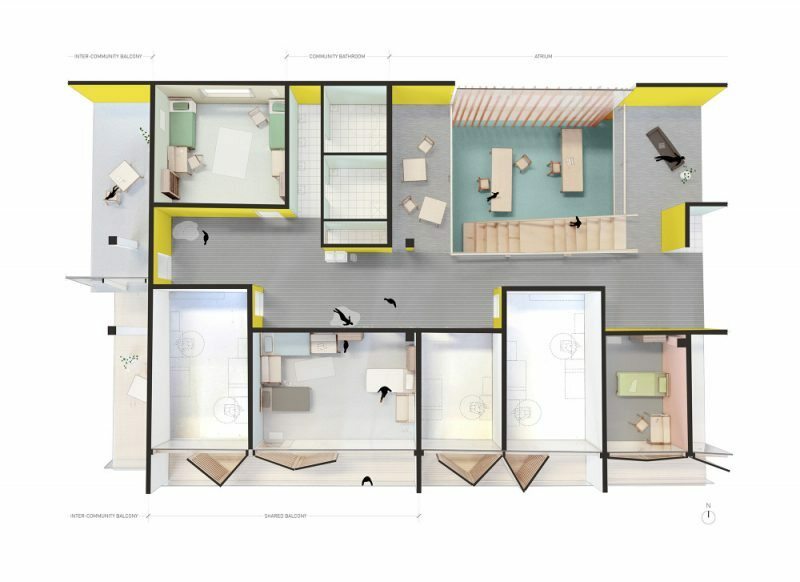 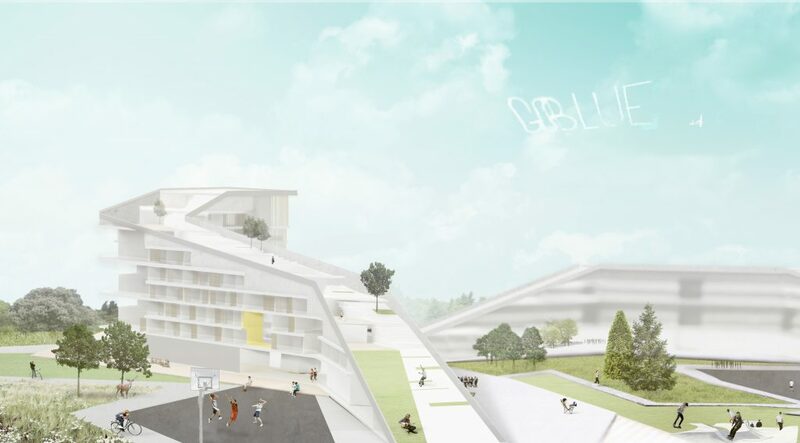 The project investigates the design of student housing in a manner which simulates research, schematic, and design development phases in conventional architectural practice. 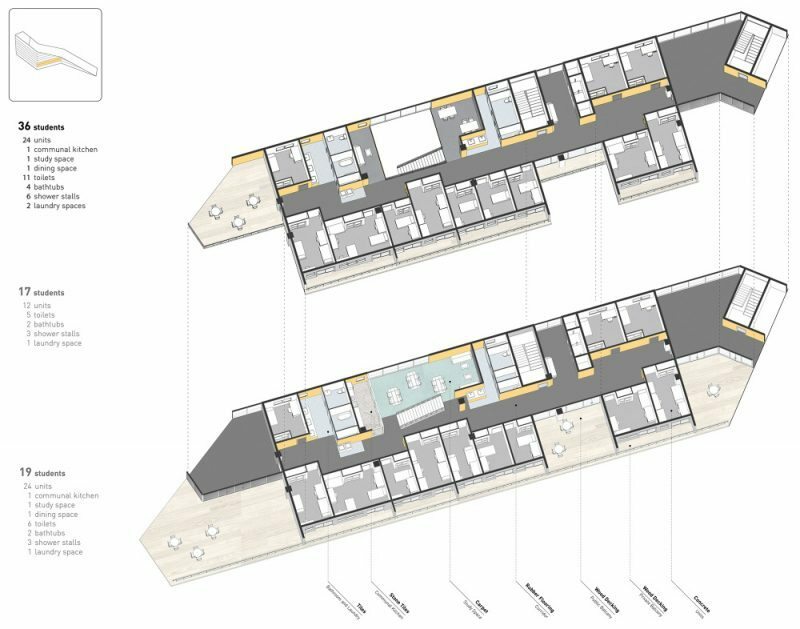 Student housing challenges the ability for architecture to accommodate both specific and universal expectations of living. 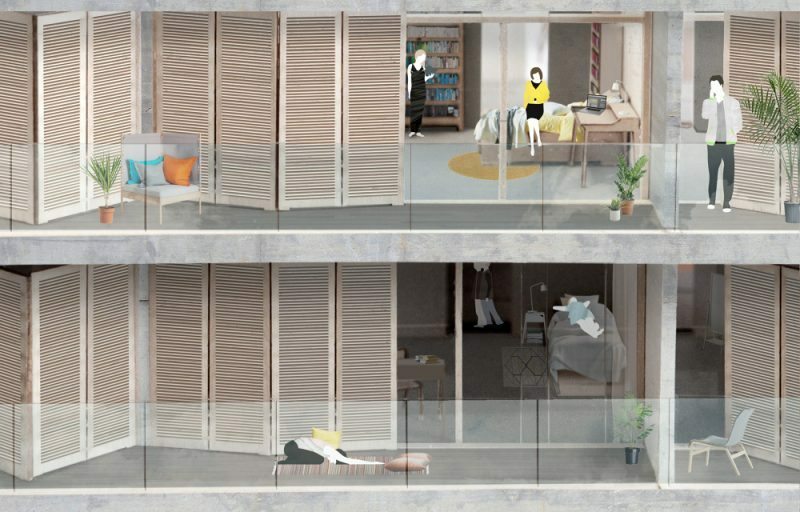 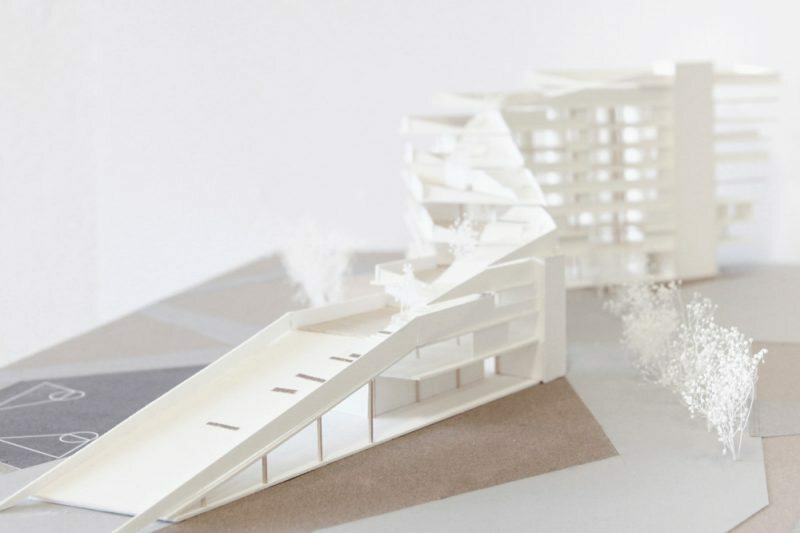 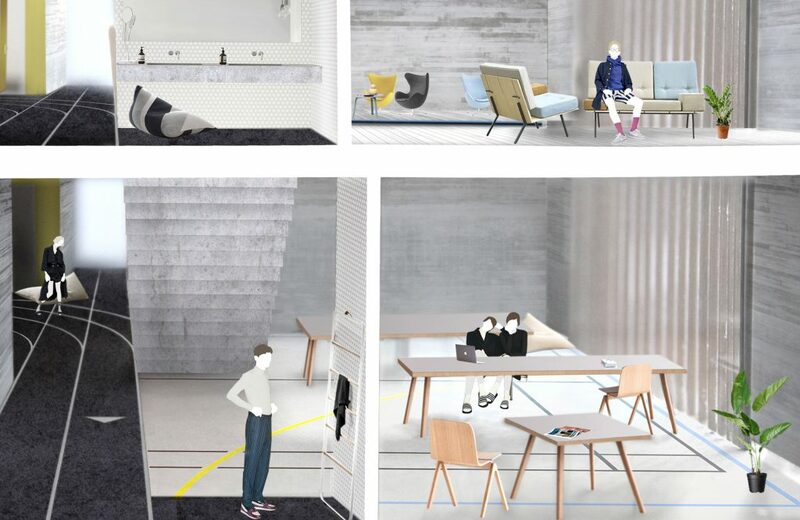 Inspired by Sou Fujimoto, BIG, and Alvar Aalto’s Baker House, Apex promotes a fun and interactive lifestyle for students living on North Campus. 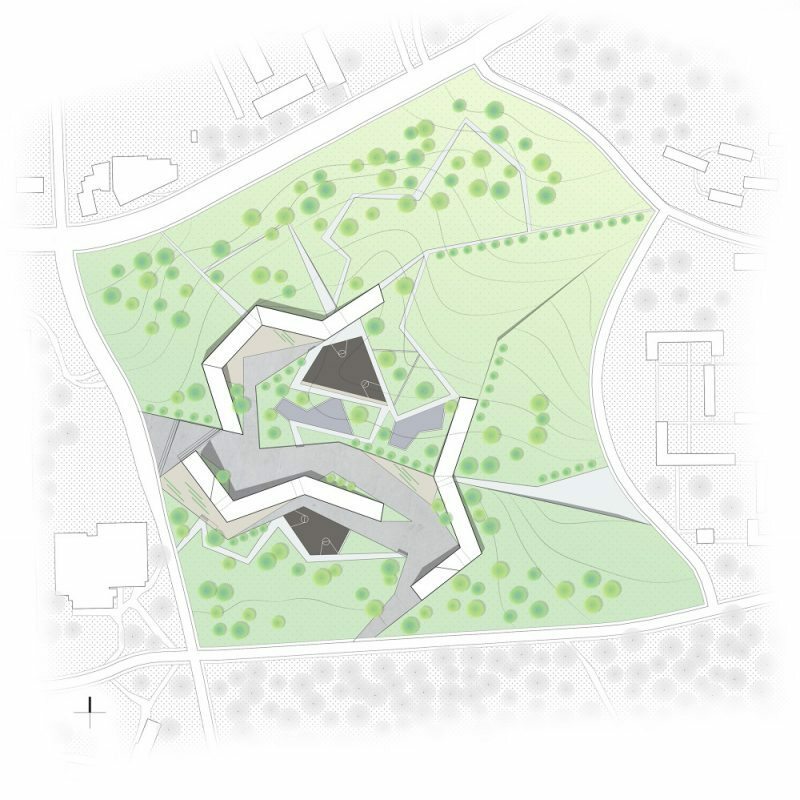 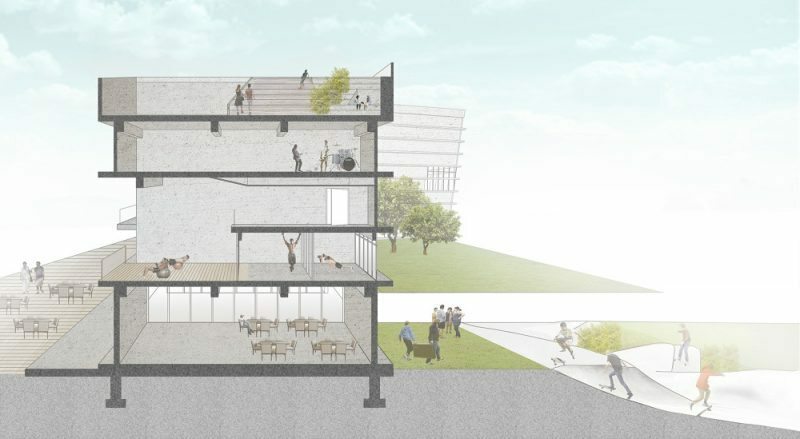 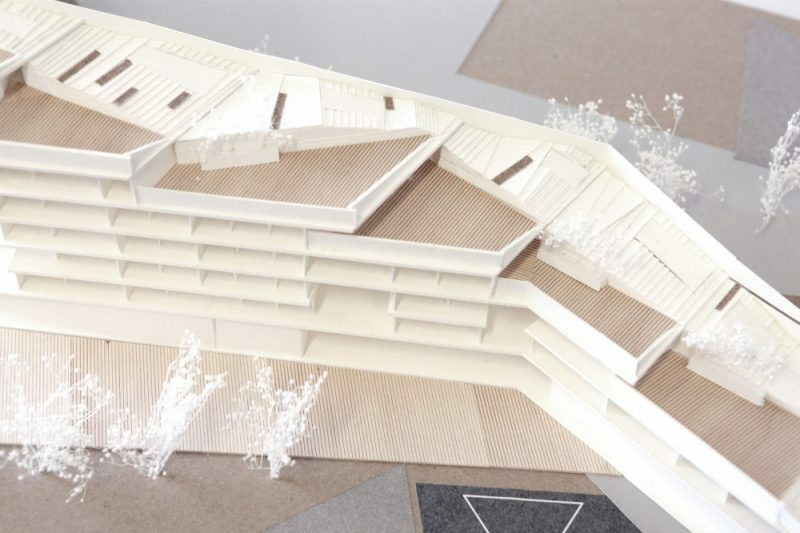 The roof of each dormitory peels off the earth as an extension of outdoor spaces for leisure and trail for exercising. 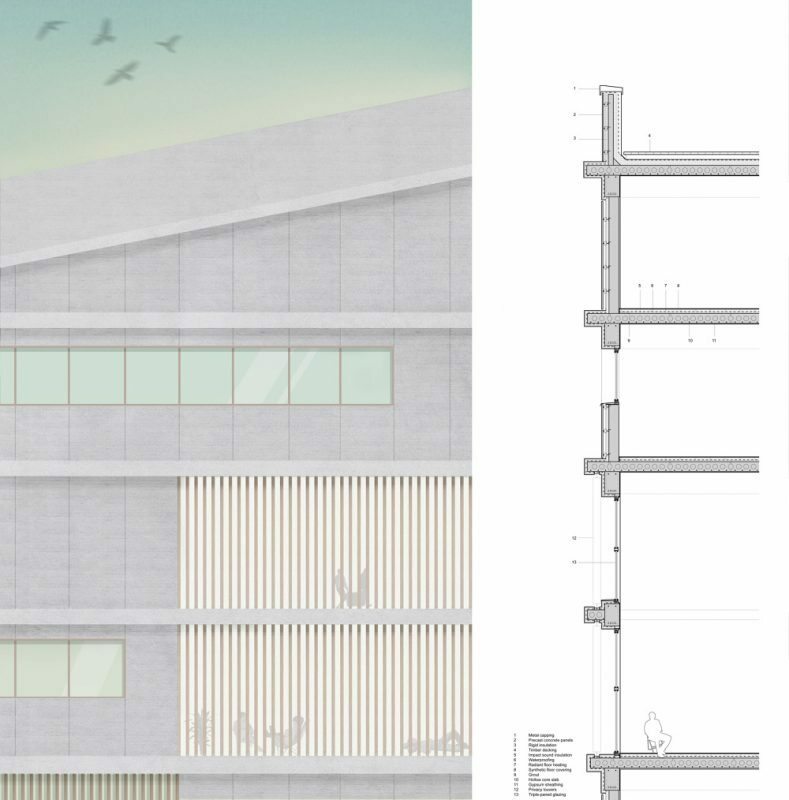 The buildings with their exposed floor slabs compliment and reinforce the horizontality of the surrounding landscape.